In my experience, there are a lot of misconceptions and judgments made about having support dogs. Personally, I constantly have to deal with this, but it has taught me a lot. At the end of the day, though, it is worth it and more. In the weeks leading up to getting my little girl, I had been consistently getting worse health-wise, and I was beginning to spiral into depression. I was in a constant cycle of enormous pain, little to no sleep, using work to distract myself, and stressed from trying to keep myself together. I was breaking from trying to be strong and be OK. I kept questioning if getting a support dog was the right thing, as I was constantly already being judged by people, even my family and friends. My pain management therapist and doctors were encouraging me that I was making the right decision, but I was still hesitant. A week before I was scheduled to leave, I hit my seventh day of practically no sleep, a long day at the office, and just overwhelming pain. I got up from bed to go to the restroom, and my body just collapsed on the ground and I couldn’t move. I lost it. I began sobbing and wanted to scream in frustration, anger and pain. Why was this happening to me? How much longer could I do this? What was happening to me? My roommate and best friend came rushing in and just hugged me and comforted me. She listened to me and cried with me. In that moment I realized that I needed help, that I needed something to comfort me. I had so much together, but I needed something to just love me unconditionally and just comfort me, knowing when I was in pain. I knew then that I was making the right decision. I haven’t once regretted getting my little girl. There is something in the comfort and love of an animal in the midst of my pain, grief and depression that soothes my soul and gives me hope and purpose. I still get questioned and judged by family about why I chose to get her when I deal with health problems. “What if you don’t feel good and you are having trouble getting up? Who is going to take her out then?” Even if I am in pain, or light-headed, or having a migraine, getting up, making it outside, letting her go potty, coming back inside and getting back in bed — yes, it’s painful, but so rewarding. I did something! Despite my health, I managed to do something. And their gratefulness and happiness is reward enough. I know and see many people with health issues who have their animals and depend on them, but don’t necessarily call them support animals. That’s OK! The point isn’t for everyone to do so, but for those who do need to, to not be afraid to do so for fear of being judged. 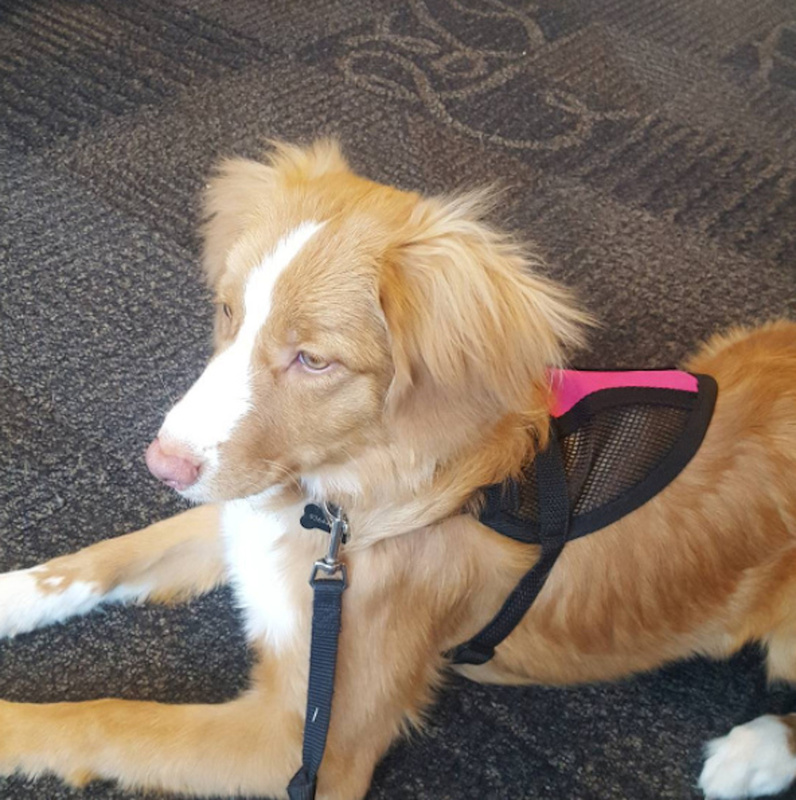 With people who might use “support dogs” as a scam to fly with their dogs free, or do other things, it damages our reputation and increases judgment. I constantly face that every time I try to fly, or even at my old apartment complex. I have severe health issues, and the last thing I want is to cause more issues or to draw attention. So I arrive at this catch-22 where it feels like I can’t win. Those us of who truly need a support animal might be fearful of using one for the potential attention and judgment. If there is one thing I have learned since having Rose, it’s that I have to choose what is more important: taking care of myself, or worrying about what other people think. At the end of the day, taking care of myself has won out, and I am eternally grateful that it has. There is nothing more rewarding or gratifying than having her cuddle up to me when she knows I am not feeling well, or running up to me as I am about to pass out. I may take care of her, but she takes care of me. So I encourage others to seriously look within and ask themselves what matters more: the opinion of others, or what is best for you? And if the answer is what is best for you, then perhaps having an emotional support dog is right for you too.